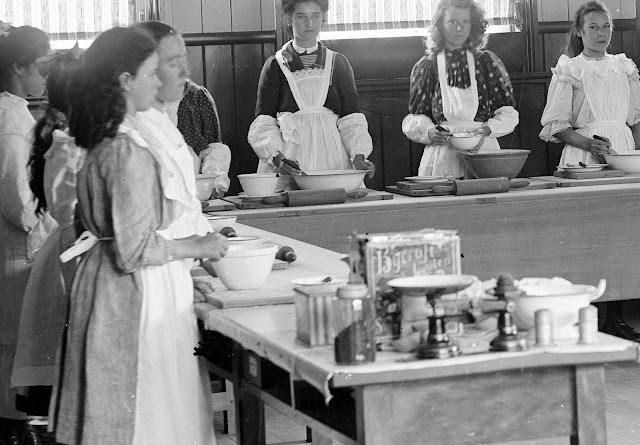 Women on the goldfield were busy in community activities, connected with the churches and schools, along with the many charitable groups that existed to help those less fortunate than themselves. Many fought for their rights, whether it be the vote, limiting the sale of alcohol, or better conditions for their families. The newspaper provided an avenue for many to have their say, through letters to the editor. One of Thames' best known names who advocated for change was 'Polly Plum' aka Mrs Mary Ann Colclough. A book has been published by Jenny Coleman that covers the exceptional life of this lady, known to us as a school teacher at one of the first goldfield schools. "'I am well known and everywhere known as a firm and earnest woman's advocate, and I am content and grateful to be so considered' - so declared Polly Plum in 1871. The women behind the pseudonym was Mary Ann Colclough (pronounced 'Cokely'), described by a major Auckland newspaper in the early 1870s as the 'best abused woman in New Zealand of the present day'." Mary Ann Colclough nee Barnes was born in Middlesex, England in 1836. 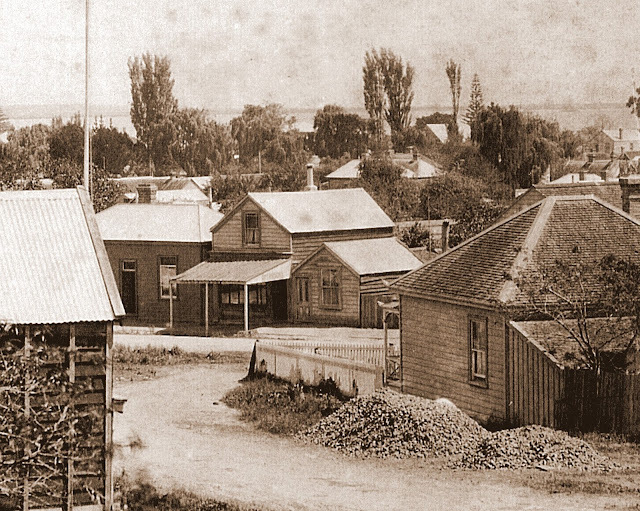 Mary Ann immigrated to New Zealand, arriving in Auckland in December 1857. The following year, Barnes sat her teacher's examination with the Auckland Education Board and received a first class first grade teaching certificate. 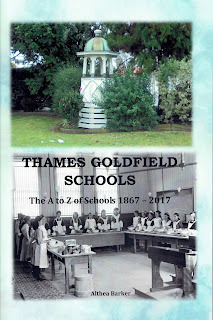 She ceased teaching at the St Barnabus School following her marriage 9 May 1860 to Thomas Colclough. The life of Mrs Colclough is covered in Coleman's book, let us leap forward to her time at Thames. In August 1873 Mrs Colclough came to Thames and took over as headmistress of the Kauaeranga Girls' School that was in the old Presbyterian church - at the corner of Rolleston and Richmond Streets, Shortland Town. 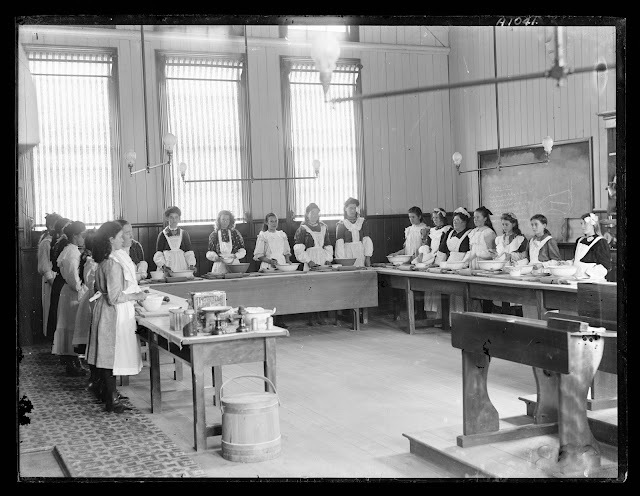 The school had been started in 1868 by Mr McKee, then later became known as Kauaeranga Girls' School, although boys were also on the school roll. Above: The first Presbyterian Church (x) far right, that was used by the Shortland School during the week. 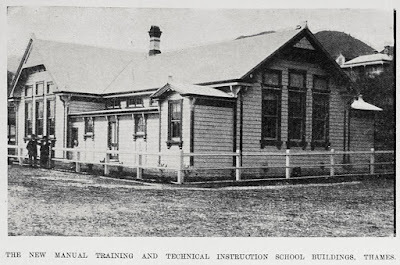 Later used as Kauaeranga Girls School before a new building was constructed on corner of Sandes and Richmond Street. Colclough appears as a hard worker, willing to travel to support her family and unfortunately not unfamiliar with money problems as a result of her moves, bankruptcy was an ongoing threat. Sadly new payment schedules for country teachers coincided with Colclough's move to the new school, not helped by the sudden drop in attendance. So the amount of money she was promised by the board never eventuated, and she was lowly paid compared to her counterparts in larger urban schools. 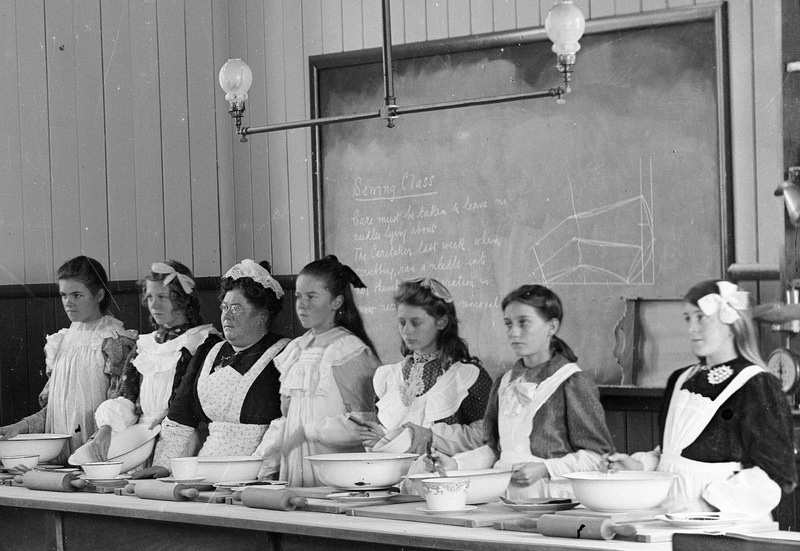 The Kauaeranga School and Mrs Colclough made the headlines in December 1873, when there was discussion over her stance of sending a pupil home because they did not have shoes. It was apparently a Board of Education ruling, but not always strictly adhered to if the child was otherwise cleanly dressed. Headmistress Colclough argued that the child was ashamed to come to school and that all parents in Shortland should be able to afford suitable shoes for their children. In the Thames Advertiser 3 April 1874, Colclough advertised night classes for young ladies, particularly aimed at those who wanted to become teachers. This may have been an act to try and earn some extra money, for at the end of the month she had been forced to file for insolvency. The women's right activist side of Mrs Colclough is fully documented in the book by Jenny Coleman, it appears that she really was a trendsetter, that was ahead of her time - laying the groundwork for later women such as the suffragettes. Mary Ann spoke/lectured at venues around New Zealand and in Australia.While the papers are full of letters to the editor and other correspondence from 'Polly Plum' on the rights of women and their standing within the family and community. The Thames Advertiser 10 March 1885, announced the death of Mrs Colclough at Picton, aged just 49 years of age. Mary Ann had two children, Willie and Lulu. 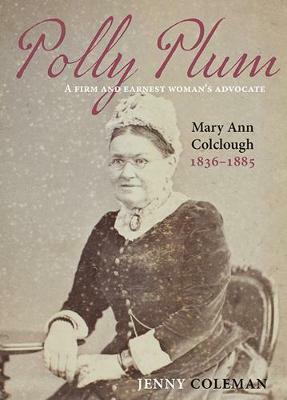 The book by Jenny Coleman "Polly Plum A Firm and Earnest Woman's Advocate, Mary Ann Colclough 1836-1885" is available at the Thames District Libraries and libraries throughout New Zealand. 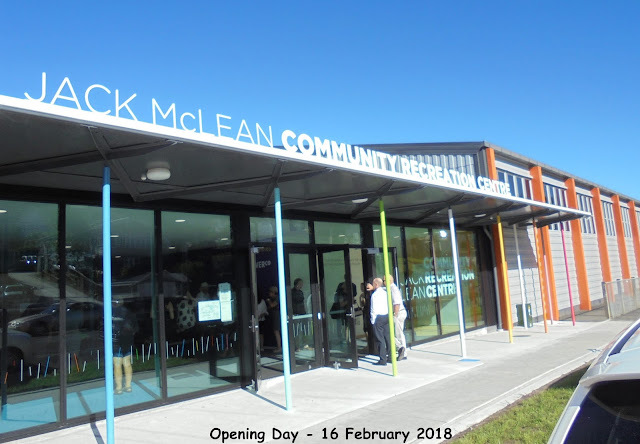 Thames (NZ): Jack McLean Community Recreation Centre OPENED! 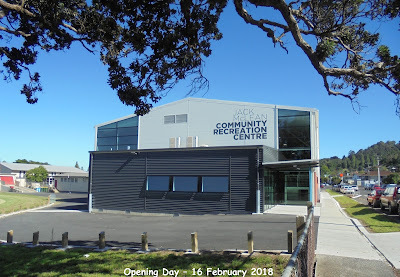 Work started on the new community recreation centre back in September 2016, but behind the scenes fundraising and development for such a building, is said to have started 20 years previously. 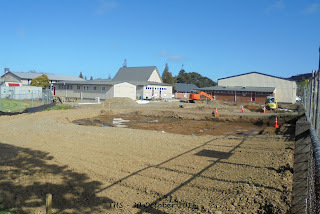 From the demolition of buildings to the start of construction everything appeared smooth enough, but behind the scenes the weather and other construction issues occurred. Finally all issues were resolved, and at a cost of six million dollars, the building today was officially opened. A timeline of the construction is available that shows what a major project this was. 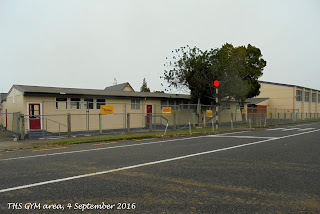 Prefabs moved, site prepared - to building opened! Many man hours and dollars were needed to make this happen. 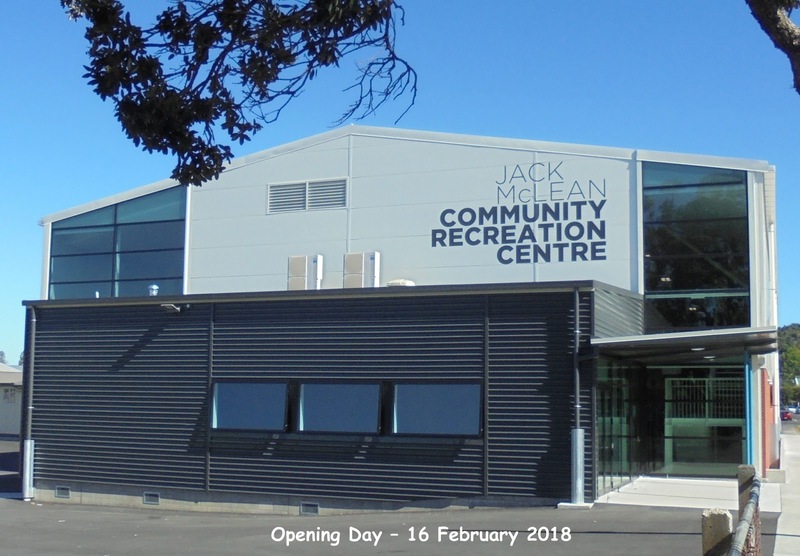 Today, Friday 16 February 2018, marked the opening of the Jack McLean Community Recreation Centre. 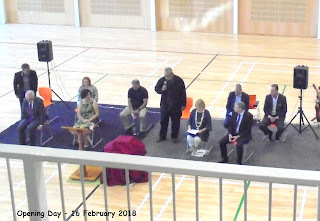 A dawn blessing by Ngati Maru kaumatua Wati Ngamane, followed by a full opening ceremony at 10am within the new gymnasium complex. 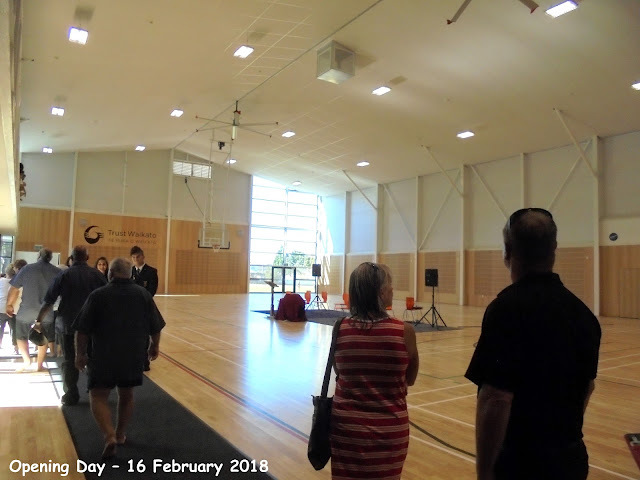 It was shoes off as everyone entered the new hall. 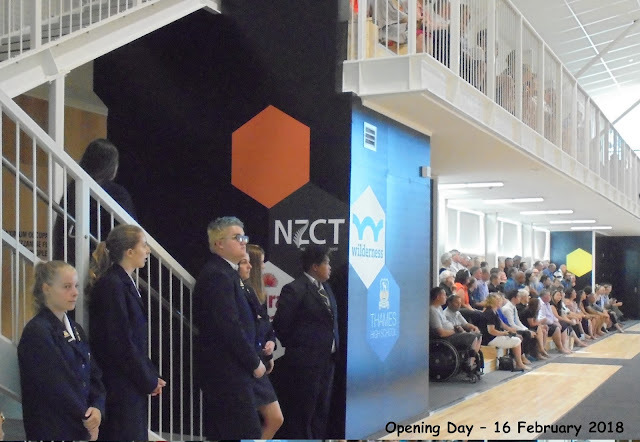 Everyone appeared impressed with the size of the new complex, that has various sporting courts marked out and ready for action! 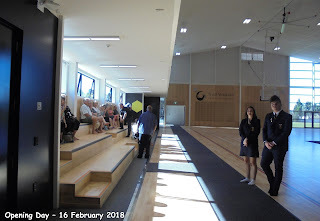 Very quickly the downstairs and upstairs seating was filled, with students, guests and members from the community. Plus most importantly members of the late Jack McLean's family. 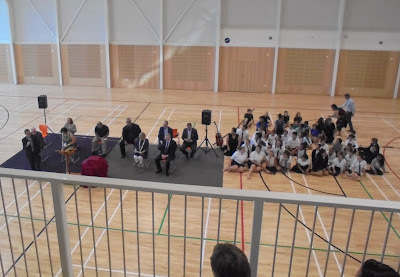 The view from upstairs is spectacular - dignitaries and the Thames High School kapa haka group were assembled in the centre of the hall. 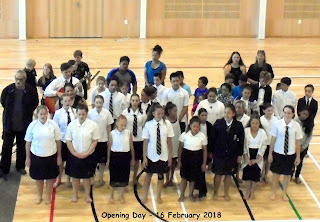 A karakia by Wati Ngamane was followed by a performance by the kapa haka members. 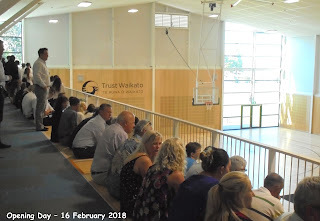 By this stage, the hall's seating areas were full, and the speeches and opening programme was completed. 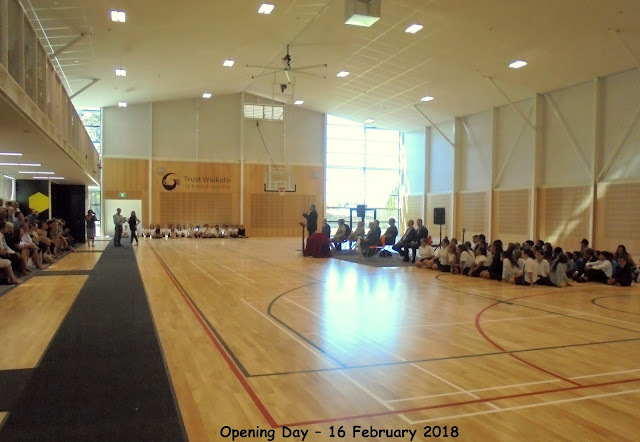 The hall is ready to meet the needs of the community and it was noted that bookings had already been made by various groups! Not a bad effort! The Jack McLean Community Recreation Centre is open for business. ABOVE: Jack (John Kenneth) McLean 1923-2005 (left) and the new Jack McLean Community Recreation Centre. 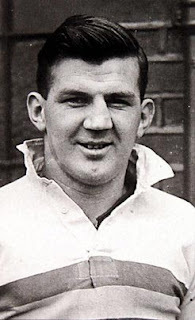 TCDC Official news on the planned opening, including biographical information on Jack McLean. 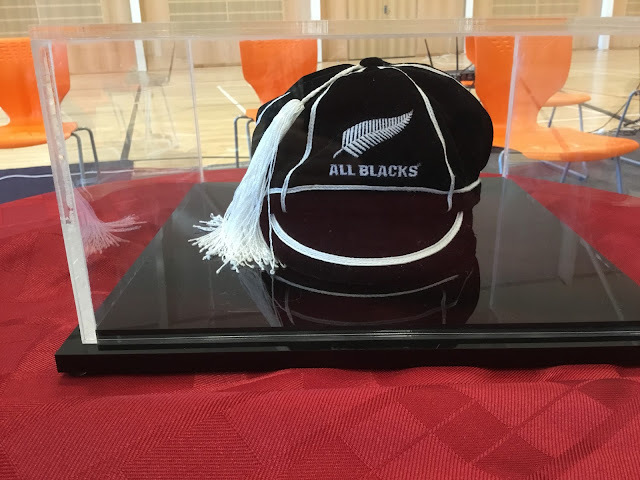 Jack McLean's All Blacks Cap.